My BIO can be found at the bottom of the page. 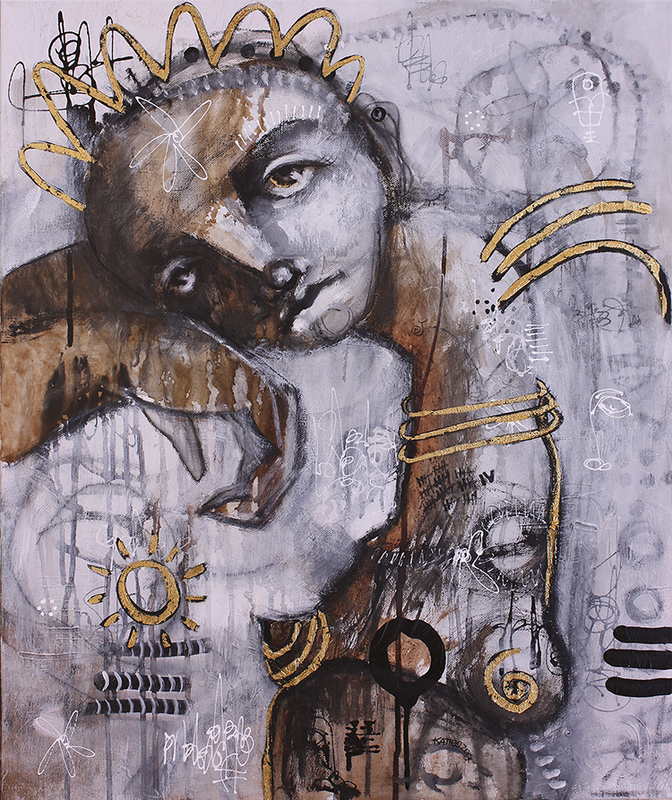 © 2017 Katie O'Sullivan, A Feeling Within, Mixed media, 23kt gold leaf on Arches paper. Alaska, Amsterdam, and of course Italy. potential and be positive change-makers in their families and communities. Keep Contemporary awesome gallery - that just happens to represent me !!!! 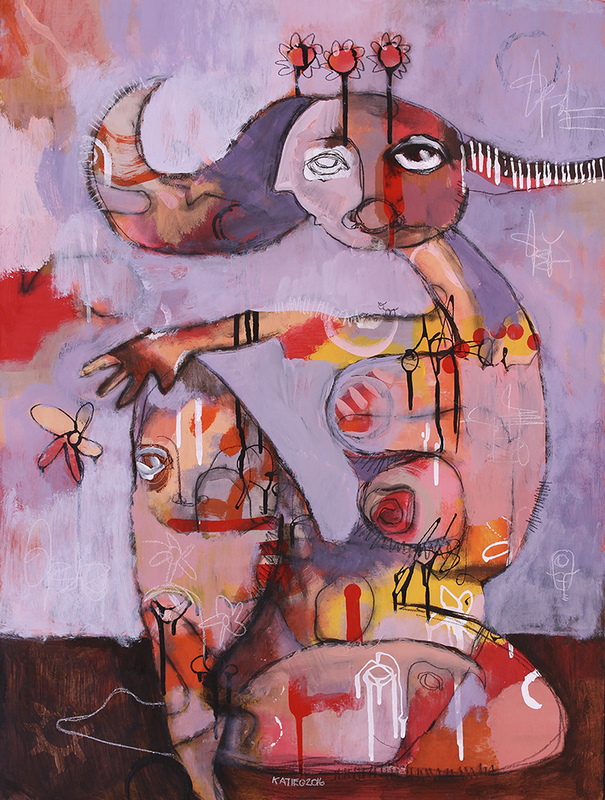 Classically trained as a figurative painter, Santa Fe artist Katie O’Sullivan challenges the human form by breaking apart its physical attributes to reveal a raw, emotional being. By exposing her characters’ cherished imperfections and unprocessed experiences, O’Sullivan offers a dual perspective on the figure that blends its physical and emotional existence. The result is primal and provocative with separated body parts, piercing eyes, and elongated necks, yet alluring and enchanting with relatable sentiments and contemplative titles. “It’s not for the faint of heart,” says the artist of her emotionally challenging imagery. 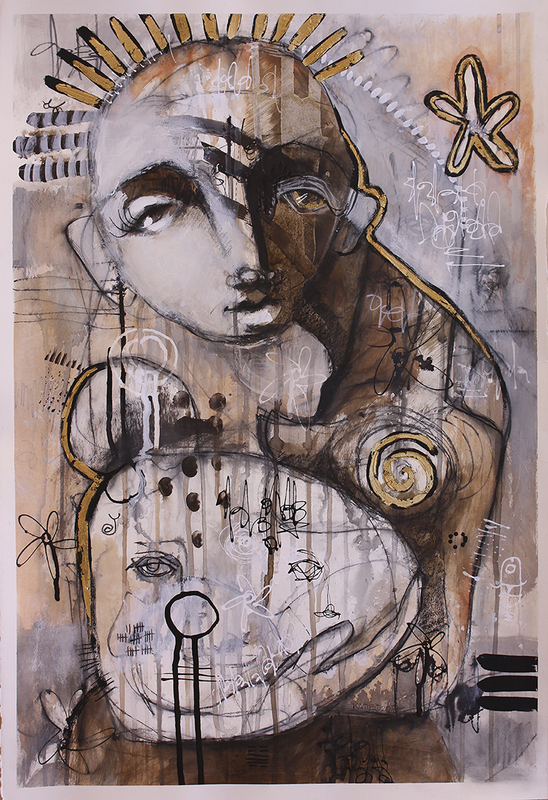 O’Sullivan’s abstract style is a rebellious response to her classical and technical artistic training. Having always been drawn to the artistry of the human form, the New-Jersey born artist enrolled in every portrait-painting workshop or figure drawing class she could, even while majoring in graphic design at Parson’s School of Design in New York City. Through her graphic studies, O’Sullivan developed strong foundational skills in technical illustration, however, her skillset soon became obsolete to the industry as graphic design entered a new phase with the development of the computer. Faced with a career shift, O’Sullivan took the opportunity to travel. She moved to Florida and worked on yachts as a deckhand and dive instructor for five years, during which she traveled to Alaska, the Caribbean, Africa and Europe teaching scuba diving and exploring new cultures. Following her travels, O’Sullivan lived in northern California and took annual trips to Santa Fe, eventually moving to the southwest in 2015. She had continued to paint throughout her life experiences but didn’t pursue it as a full-time profession until 2014. Now in Santa Fe, O’Sullivan’s painting career is reaching new heights as she immerses herself in her work surrounded by an artistically driven community. 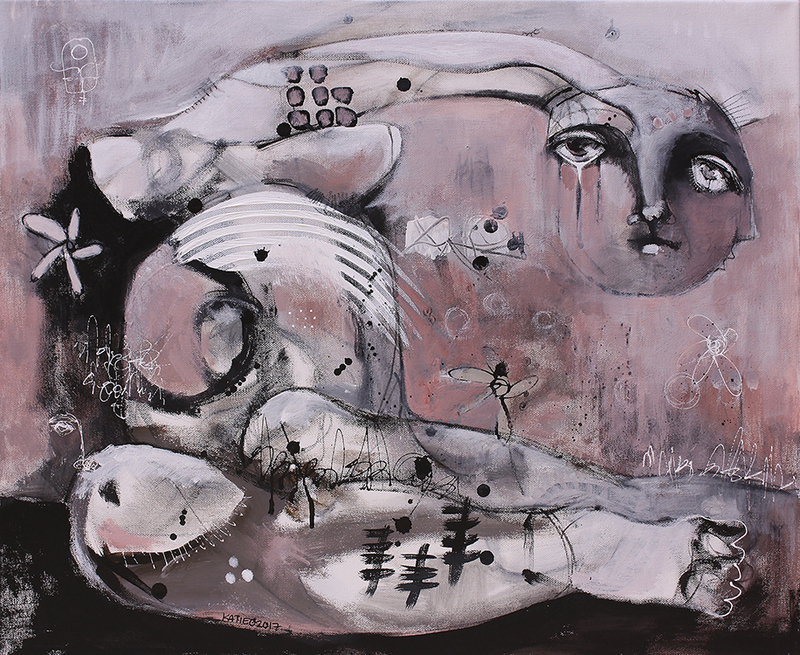 O’Sullivan’s paintings are reflections of the artist’s travels, studies, personal experiences and visceral feelings, while also taking on a life of their own as emotionally charged figures push and pull their way onto the canvas. When paintings leave the studio, the dialogue between artist and canvas is complete, however, the narrative continues to evolve as viewers and collectors enter the conversation and breathe new life into the work.